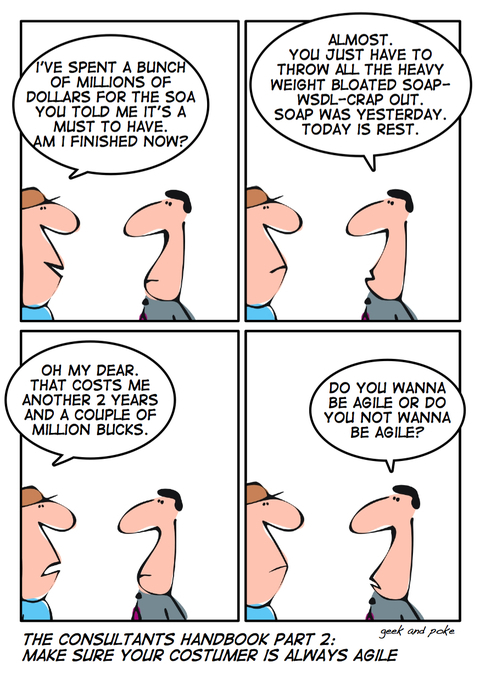 It's hard to be SOA-agile. SOAP was yesterday. Today do REST and do not rest. See Joe McKendrick. Btw. : I've missed it. Geek&Poke had it's first anniversary yesterday. On June 4th 2006 the first cartoon was posted (on Blogger back then).